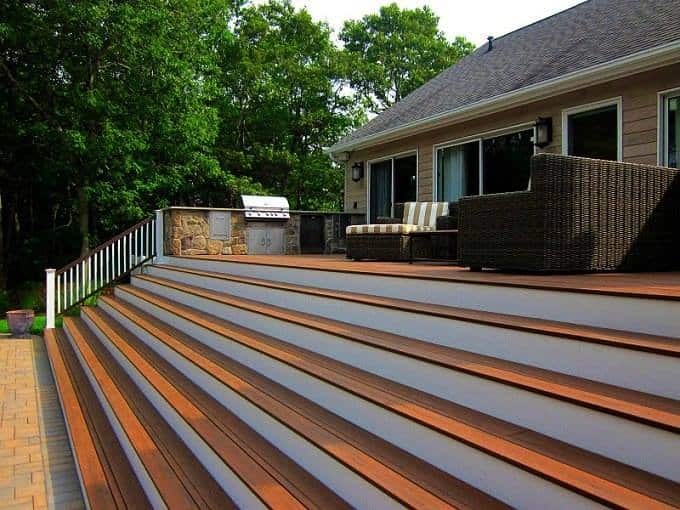 If you’re considering rebuilding a deck as part of your project, you may find that our advice is that it may not need to be torn down completely. Why build a new deck when you can use the framework already in place? When the foundation and substructure of a wood deck is still in good shape, simply resurfacing the structure can give you the results you want, thereby freeing up funds to put into another element of the landscape redesign. Here we used TimberTech decking and Azek risers.